A good way to stimulate young people's interest in something is to take advantage of their natural competitiveness by running a competition. The European Commission's Directorate General for Translation has been doing this for several years by organising an annual competition for secondary school students. They call it Juvenes Traductores. It's been mentioned several times before on this blog; for past years enter juvenes in the Search box on the right. The age limit is 17. Such is the diversity of languages in the 28 countries of the EU that this year there were entries in 152 pairs including Greek to Latvian and Bulgarian to Portuguese, but in fact the number of entrants from the different countries varied greatly: between 360 from Italy and 25 from Estonia, although all the contestants faced stiff competition. Particularly striking is the figure of 27 from Malta, because few people outside the country are aware that Maltese is a language. Imagine the effort it must take to run a competition like that! The EU's aim is not however entirely altruistic; they want to encourage young people to take up translation, knowing, with an eye to the future, that they need to keep up the supply of recruits for their own enormous translation organisation. The Commission has just announced the winners for 2017, and they will go to Brussels in April to receive their prizes. The markers for the competition are Expert Translators from the EU's own service, so the standard is high. That doesn't mean, however, that the contestants are expert – not yet anyway. One text does not an expert make. However, they've probably had language courses in which translation was a component, and they may well have had coaching from their teachers, so they're far from being naive Natural Translators. A different kind of competition is being organised in Italy for the first time this year. The organisers are a research group at the Forli campus of the University of Bologna which calls itself In MediO PUER(I) (Amongst Children? – my Latin is rusty) and specialises in child language brokering. Forli is the campus that hosted the first International Conference on Non-Professional Interpreting and Translation, and from the viewpoint of this blog their competition is potentially even more interesting than the EU one. 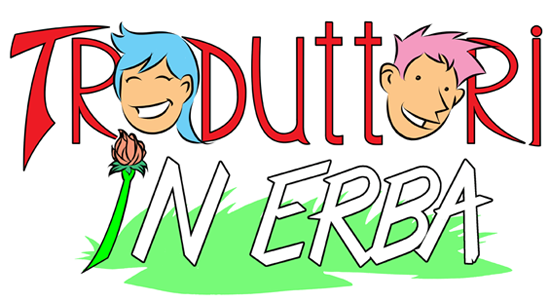 Its name is Traduttori in Erba (Budding Translators). Its interest lies largely in the fact that it's open to children from primary school to the first year of secondary school, that is to say about six to eleven, and therefore much younger and less 'educated' than the EU ones. Moreover there are to be three levels: first and second years of primary school, third through fifth years of primary school and first year of secondary school. Taking all the entries and not just the winners, it should be possible to detect development in the translating ability. Assuming of course that there are plenty of entries. For more information and updates, contact Prof. Rachele Antonini at rachele.antonini@unibo.it. Florian Faes. Translators win big across Europe. SLATOR Language Industry Intelligence, 24 February 2017. Click [here] or go to https://slator.com/industry-news/translators-win-big-across-europe/. Rachele Antonini et al. 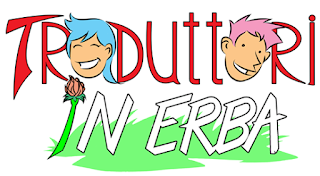 Concorso "Traduttori in erba" 2016/2017. METRA Centro di Studi Interdisciplinari sulla Mediazione e la Traduzione a Opera di e per Ragazzi/e, 2017. In Italian. Click [here] or go to http://metra.dipintra.it/2017/01/26/concorso-traduttori-in-erba-20162017/. We were taken aback but also amused to hear French in that context. So we decided to give him a chance. His name was Ahmed. He had a clever technique. He would go a little ahead of us and listen surreptitiously to what the official guides were saying in Arabic and then come back and repeat it to us in French. And so we passed the morning. His French was adequate and in fact he must have known quite a lot of history and archeology in order to translate. Of course we were intrigued as to how he had acquired his French and his specialised knowledge. With his torn garment he didn't look as if he went to school. So he told us that he had joined up with a team of French archeologists who were doing research in the Valley, performing odd jobs for them and eventually picking up enough of their language to act as their interpreter. He had done this for three excavation seasons. As a tourist guide-interpreter myself in other countries, I admired his performance. We paid him off and said goodbye to him at the landing stage and never saw him again, but we recommended him to other visitors at the hotel. I cannot recall Ahmed without thinking of another Egyptian lad who picked up French with remarkable alacrity. "En paix, ce sont des secrétaires intimes, en guerre, ce sont, du général (attendu les connaissances qu'ils doivent avoir) des guides sûrs et courageux." (In peacetime they are private secretaries; in wartime the knowledge they must possess makes them a general's brave and reliable guides." So he recruited the best French interpreters of Arabic and Turkish available in France, and at their head he appointed the most experienced of them. His name was Jean-Michel Venture de Paradis (Venture for short). He came from a family of interpreters based in Marseilles. He had been trained for interpreting since childhood, first in Paris then in Constantinople (today's Istanbul). He had risen in the French diplomatic service, in the region that in those days was called the Levant, until he reached the supreme rank of Interpreter Royal (Interprète du Roi). By 1798 he was nearly 60 and semi-retired, but he was pressed back into service. All went well at first for the Army of the East (Armée d'Orient), at least on land, but then disaster struck. Hearing that an Ottoman army with British support was heading towards Egypt, Napoleon decided in 1799 to make a pre-emptive strike by invading coastal Palestine and he sent Venture with the expedition. It was a fiasco. It was forced to abandon its siege of Acre and turn back. During the withdrawal from Acre, Venture fell ill, probably with dysentery or the plague, and died. Napoleon slunk off back to France. The army he left behind had brought other interpreters with it, but the loss of Venture was felt. It was at that juncture that it took on a French-speaking Egyptian named Ellious Bocthor. He was 15 years old. He was a Copt, a member of the minority Christian sect to which Egypt owes so much. How he came to know French so well is a bit of a mystery. There were no schools of foreign languages in Egypt at the time. Al-Tahtawi's famous Faculty of Languages (kulliyyat al-'alsun) didn't open in Cairo until 1836 and French visitors before Napoleon were few and far between. Furthermore he came from Asyut, which is in Upper Egypt far to the south of the Mediterranean. He hadn't been abroad. Perhaps, like Ahmed at Luxor, he was a quick learner who picked it up from working with French people. One important thing we know from his later career is that his knowledge of Arabic was very thorough. 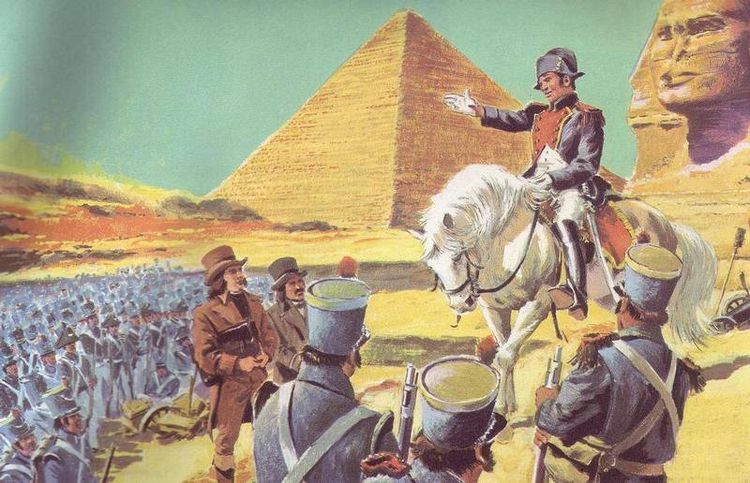 When the British expelled the French from Egypt in 1801, Ellious followed the Armée d'Orient back to France. There, thanks to his army service, he was eventually given a position at the War Ministry (Ministére de la Guerre) translating some of the mass of Arabic documents that had been brought back from Egypt and working on a large-scale map of the country. The reputation he earned by his work there enabled him to advance further due to an important development in Arabic studies. In 1795, in the aftermath of the French Revolution, a new school of languages and translation had opened in Paris. Venture had been involved with it. It was the Special School for Oriental Languages (École spéciale des langues orientales, popularly known as Langues O), which still exists under the name Institut National des Langues et Cultures Orientales (INALCO) and can claim to be the oldest continuously operating school of translators in the world. Until that time the Arabic taught in the European universities was all of the Classical variety, that is to say the language of literature and the Qur'an. The everyday spoken language was looked down on, even by the Arabs themselves. (When I was studying Arabic at the University of London in the 1940s that was still the attitude there.) But the Egyptian expedition had opened the eyes of some of its participants to the need for a more practical approach. So in 1819 Ellious was engaged at the school to give the first course of Colloquial Arabic, and in 1821 he was made Professor of Colloquial Arabic (professeur titulaire d'arabe vulgaire). Meanwhile he was working on what was to be his magnum opus, his French-Arabic Dictionary (see Sources below). A first draft exists from 1814. It was not really a dictionary of colloquial Arabic, but it broke with the tradition of Arabic lexicography by including post-classical modernisms. For example argent, monnaie / flws, dra:hm. Then in 1821 he died from an illness with his dictionary still unfinished. It was completed by his successor at Langues O, Armand Pierre Caussin de Perceval, another former interpreter, and published in 1828. It remained a standard reference work throughout the 19th century. Ahmed and Ellious, two professionalised young Natural Interpreters of the same language pair and from the same country, but from different communities in very different times and with very different destinies. In particular Ellious's career illustrates the role of French military interpreters, whose history as a corps goes back two centuries (see the Behm reference below). Valley of the Kings. Wikipedia, 2017. French campaign in Egypt and Syria. Wikipedia, 2017. Didot, 1828-1829. 2 vols., large 4°, 461 + 435 pages. The Arabic typography was supplied by Firmin Didot, a famous printer and type founder; it's clear but not vowelled There have been several re-editions, one of which can be bought through Amazon. A copy of the original edition in its red morocco binding and bearing Caussin de Perceval's autograph was recently offered on the internet at 4,500 euros. M. Behm et al. Le Corps des Officiers des Affaires Militaires Musulmanes. ANOCRE Association Nationale des Officiers de Carrière en Retraite, 2016. Click [here] or go to http://www.anocr.com/temoignages/36-le-corps-des-officiers-des-affaires-militaires-musulmanes. The Jean-Michel Venture de Paradis who features as a leading character in the 1997 film Passion in the Desert bears no resemblance to the real Venture de Paradis of this blog. A case of stolen identity. 1. 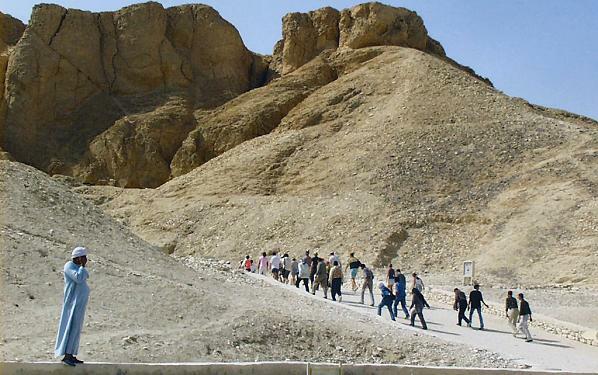 An early morning band of visitors on the road to the Valley of the Kings. Source: Looklex Egypt. 2. Napoleon with his troops and two of his scientists.